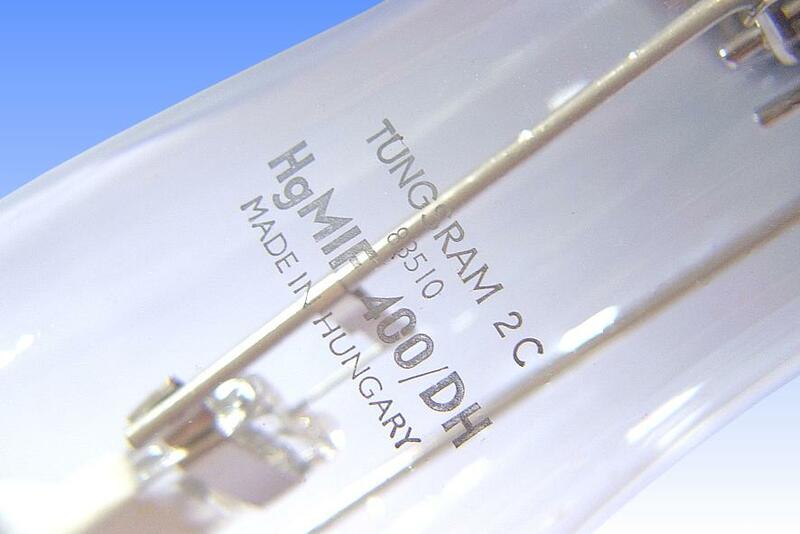 From an early stage, Tungsram established its metal halide products based on Osram's rare earth chemistry, which is especially well suited to lamps of daylight and high colour temperatures. No auxiliary starting electrode is employed, nor is there any starting aid, so a high voltage ignitor is required. The lamps are intended for use on mercury gear. The arc tube is formed from three pieces of quartz tubing, consisting of a central large diameter portion with conical end chambers forming the discharge vessel, with a narrow diameter piece of tubing being fused to each end to allow slim pinch-seals to be made. 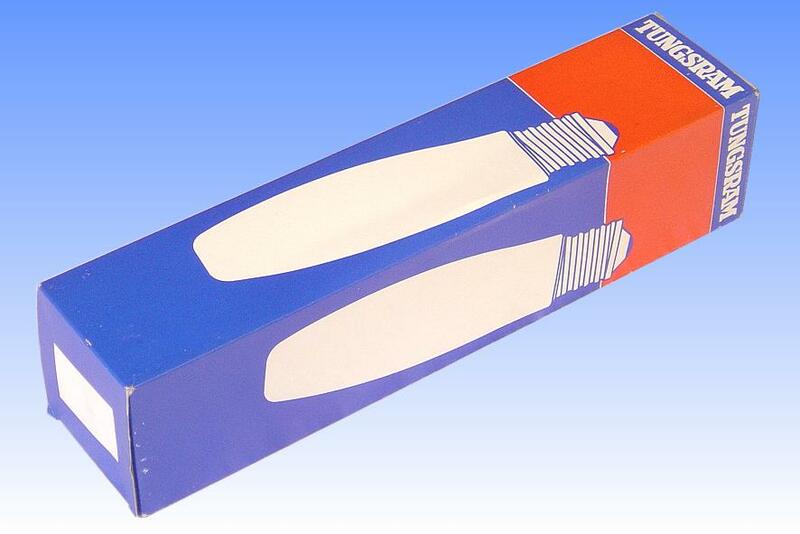 This creates an arc tube shape whose cold spot temperature is higher, leading to better efficacy and colour rendering. The reduced mass of quartz also means it is capable of running up to full temperature, and cooling down to re-striking temperatures more rapidly than traditional one-piece pinched arc tubes. 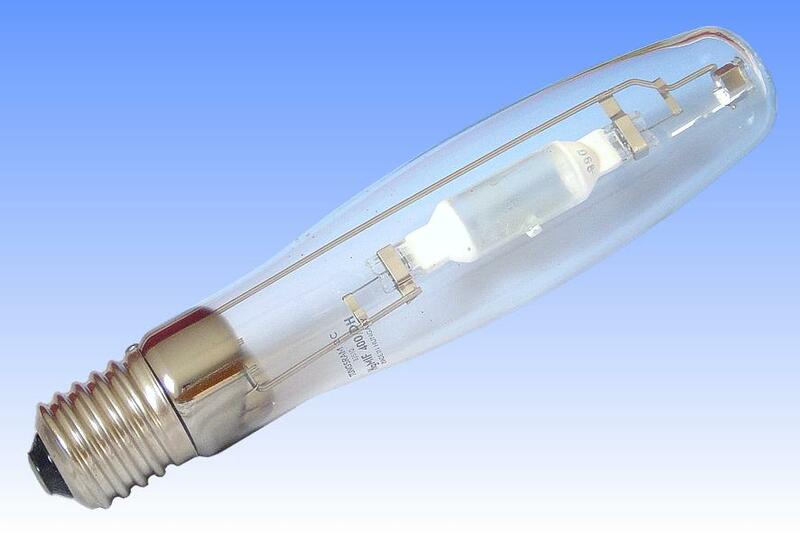 This is a daylight colour lamp with higher colour temperature than the standard types. Dysprosium and thallium iodides are the principal constituents, this chemistry causing the arc to become very constricted which leads to instability and a chance of flicker. Caesium iodide is therefore added to counter this effect and fatten the arc back to normal levels. 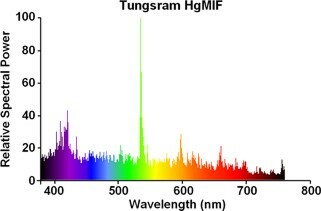 The luminous efficacy is somewhat less than for lower colour temperature lamps, consequently the short arc in this lamp develops considerably more heat. 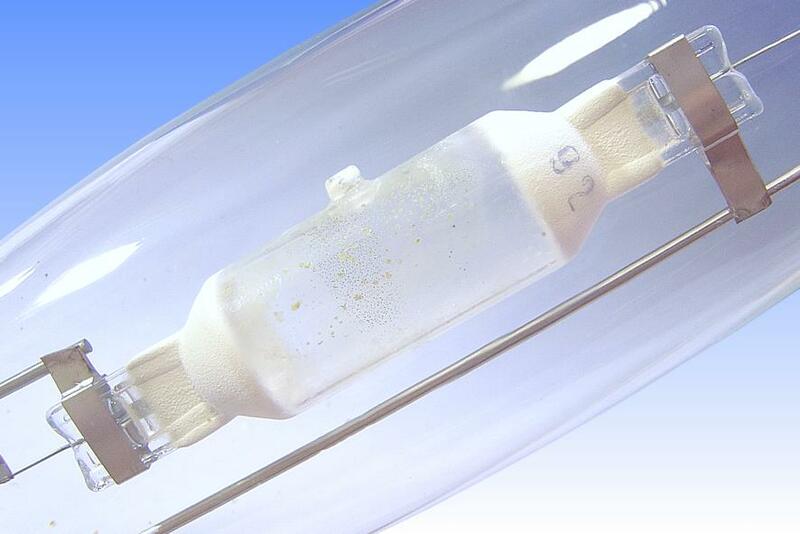 The arc tube is therefore enclosed in a vacuum atmosphere to minimise effects of heat transfer to the outer jacket. 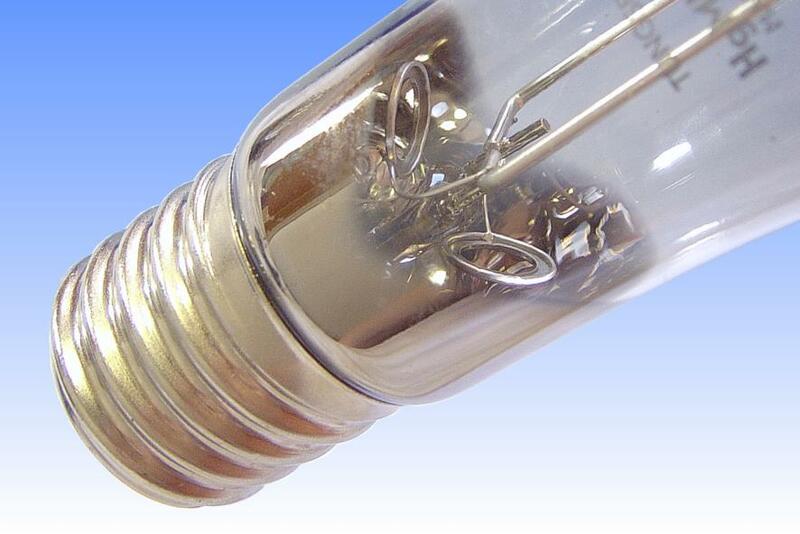 Additionally an outer bulb of bulged design is employed to lower its temperature. References: 1) Tungsram Lamp Catalogue 1990. 2) GE-Tungsram UK Price List June 1991.